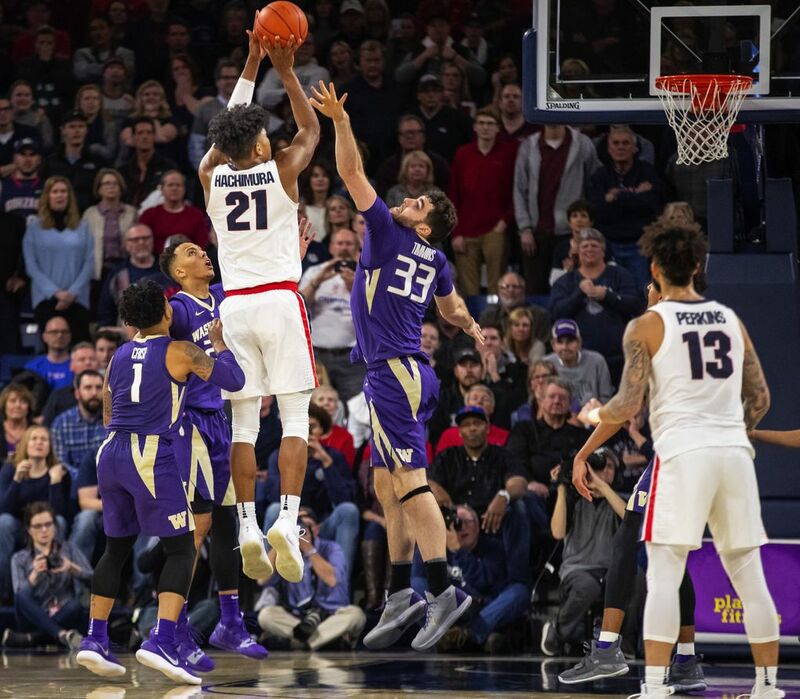 Rui Hachimura makes a jump shot with 0.6 seconds remaining after Washington (6-3) had dramatically tied the game in Spokane. The undefeated Zags won, 81-79. 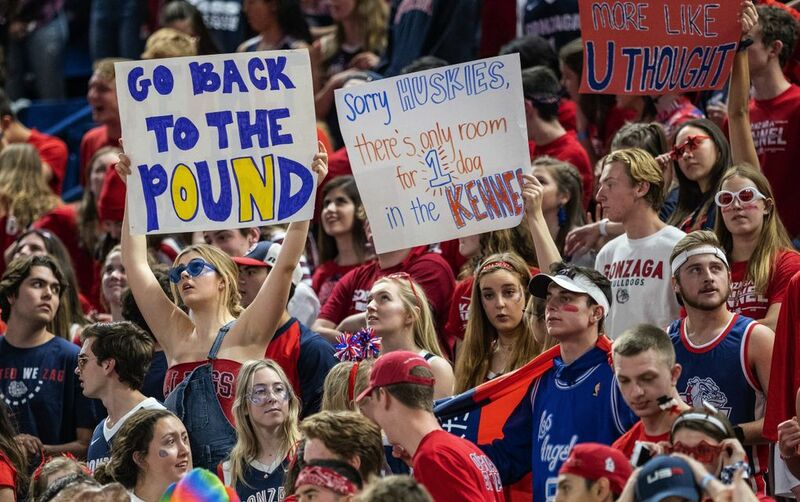 SPOKANE — The Kennel Club, which had been stunned into silence late in the second half, mustered all of its zaniest antics one last time. 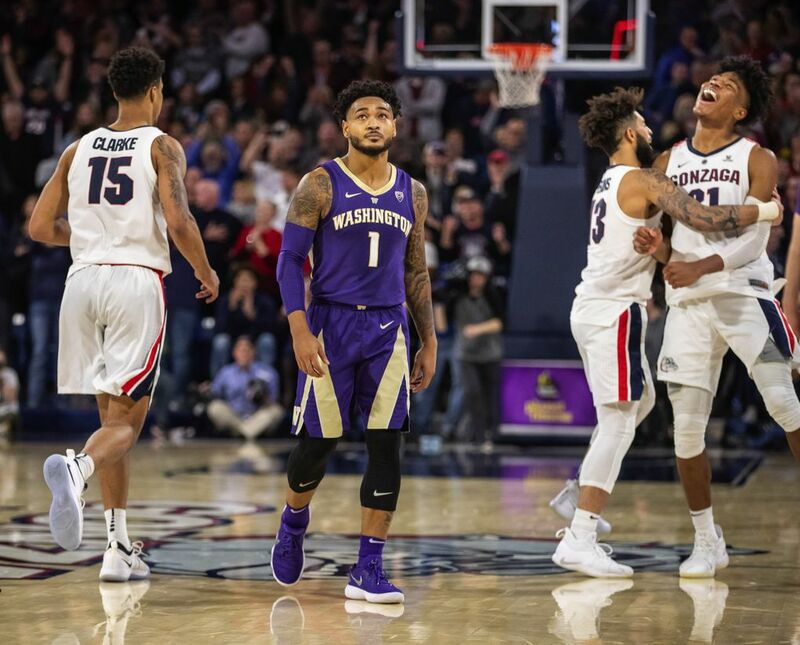 As the decibels rose to earsplitting levels inside McCarthey Athletic Center, Jaylen Nowell stepped to the free-throw line with 9.4 seconds left and a chance to tie the game for the Huskies. “My mind is really silent at that point,” said Washington’s sophomore guard. “I’ve been in those situations before. It’s a normal thing. Just two free throws. Nowell, who entered Wednesday’s game shooting 68.4 percent on free throws, drained the two freebies to tie the score at 79-79 and cap an 8-0 run for the Huskies in the final three minutes. 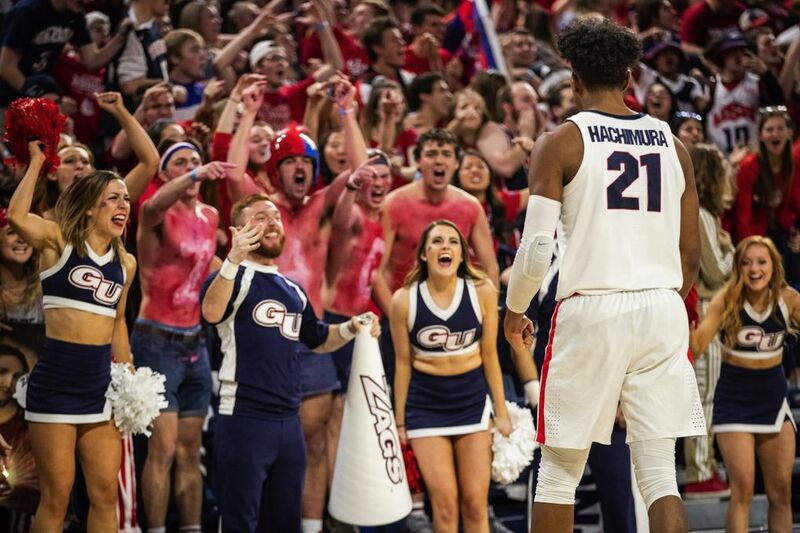 However, Bulldogs star Rui Hachimura had an answer at the other end when he hit a midrange jumper near the free-throw line over Sam Timmins’ outstretched hand with just 0.6 seconds on the clock. 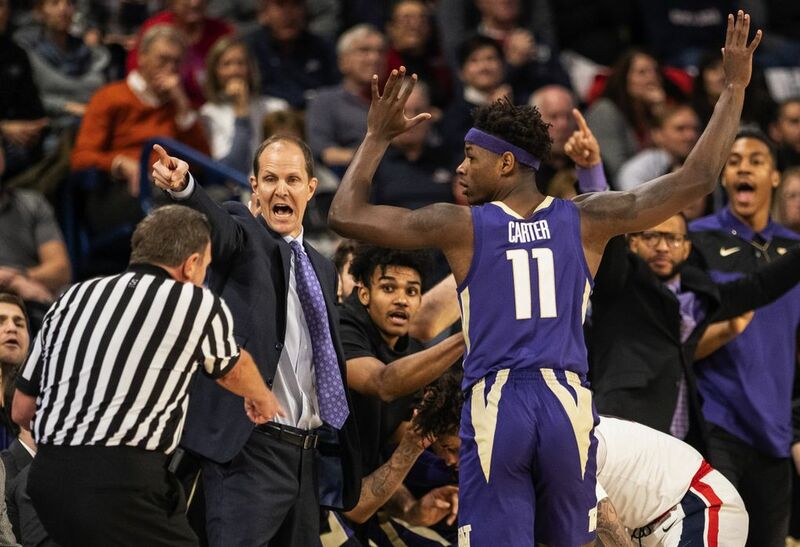 There was just enough time for a rebuttal, but Dominic Green’s hurried half-court heave at the buzzer fell short and the Huskies lost 81-79 to No. 1 Gonzaga. The Bulldogs, who have won 12 of the past 13 games in the cross-state rivalry that originated in 1910, didn’t run the Huskies out of the gym like they did in their past two matchups, when they won both games by 27 points. This time, Washington put up a fight until the end and nearly pulled off its biggest win since upsetting No. 1 Stanford in 2004. UW fell to 2-28 against No. 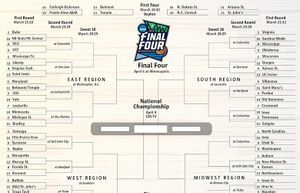 1-ranked opponents. 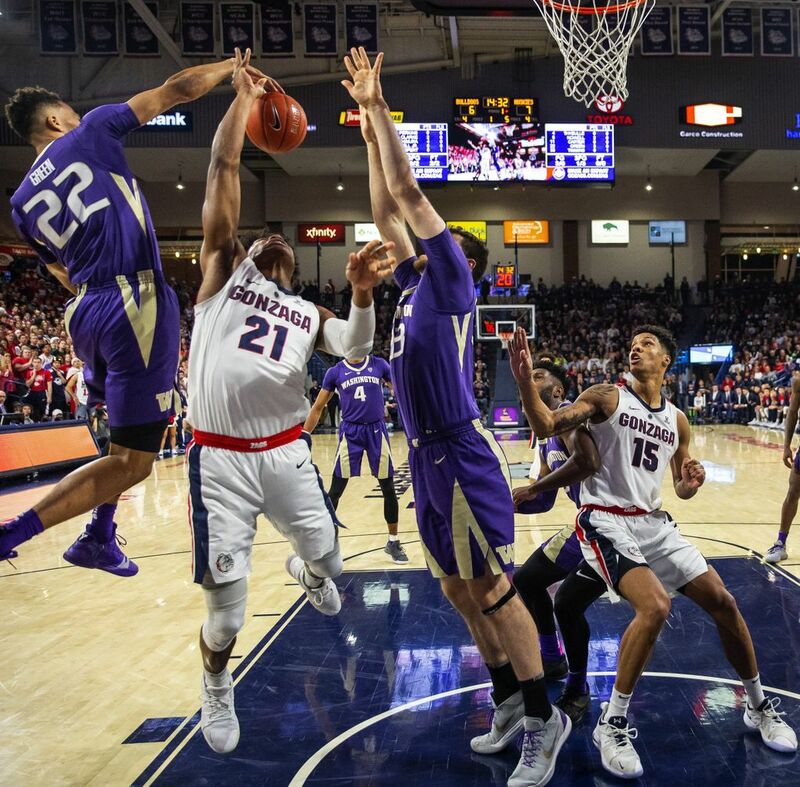 Washington held Gonzaga, the second-highest scoring team in the country, 17 points below its scoring average. GU received 14 points from guards Zach Norvell Jr. and 13 from Corey Kispert. 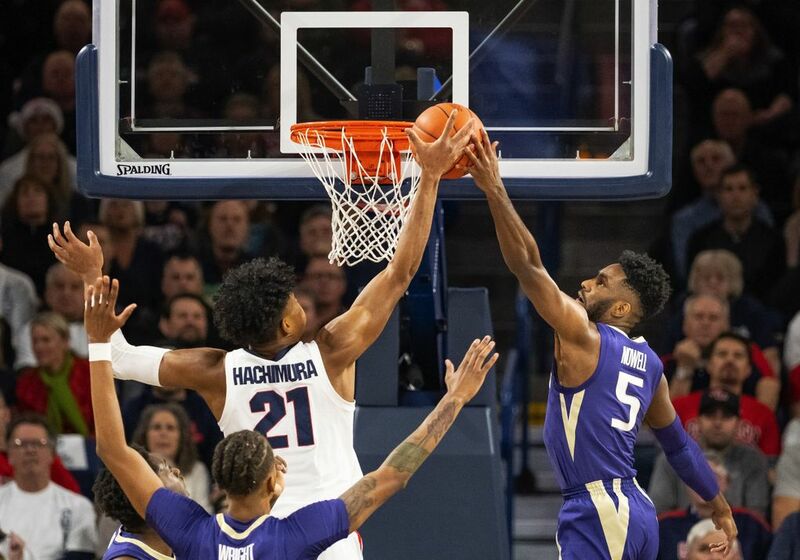 But the Huskies had no answer inside for Hachimura, who finished with a game-high tying 26 points and forward Brandon Clarke, who tallied 10 points and 11 rebounds. 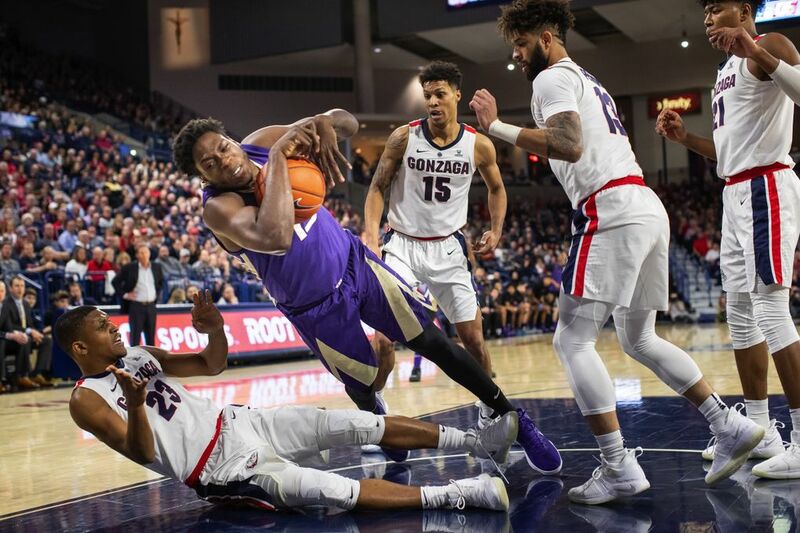 While the Bulldogs picked away at the Huskies’ 2-3 zone on the inside, GU shut down UW big man Noah Dickerson and held him to just 13 points — well below his scoring average — before he fouled out with less than three minutes left. 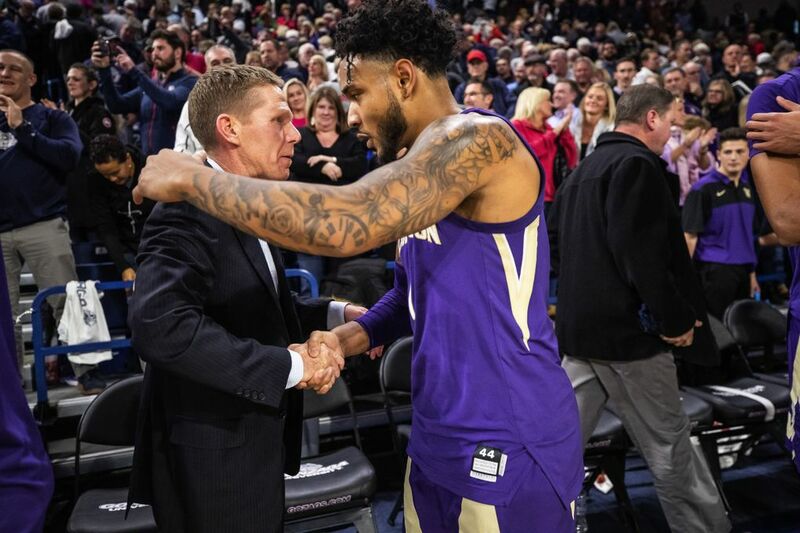 Nowell and Matisse Thybulle (18 points and four assists) picked up the scoring slack for Washington, which fell to 6-3. 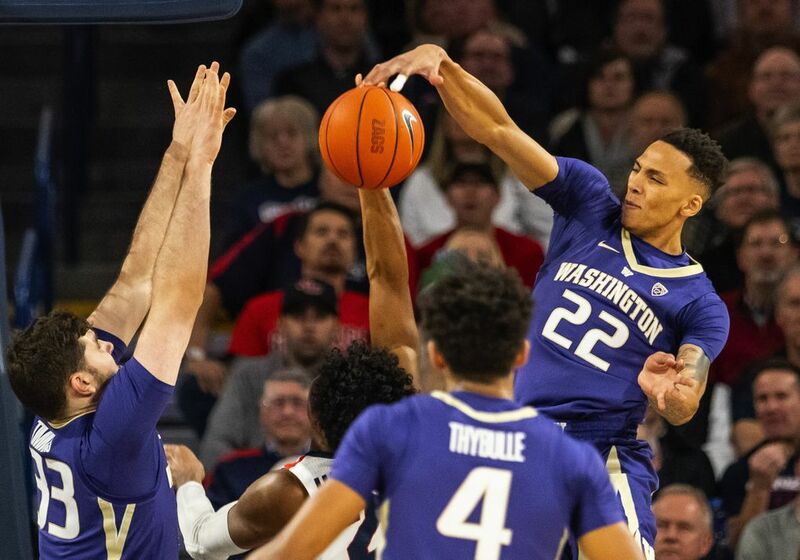 Washington sank 9 of 27 three-pointers and held Gonzaga to 8 of 20 behind the arc. “They stayed together,” Hopkins said. “Every time they made a run we were able to counter. Matisse made some big plays for us. Jaylen was huge at the end. The guys held together late in the game. Down 79-71 with 2:09 left, Nowell found forward Sam Timmins for a layup that began an 8-0 run. After Nowell’s game-tying free throws, Gonzaga’s playmaker Josh Perkins found Hachimura inside. Hopkins said: “You don’t want them to take any shots. They were doing a good job of getting it in there. Perkins hit a 3 from 30 feet. They’ve got so many offensive weapons. 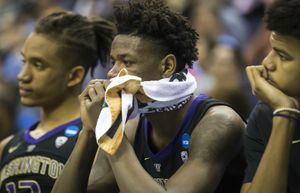 It was a bitter end for Washington, which lost its eighth straight road game to Gonzaga.